Aston Martin V12 Zagato Endurance Racer. 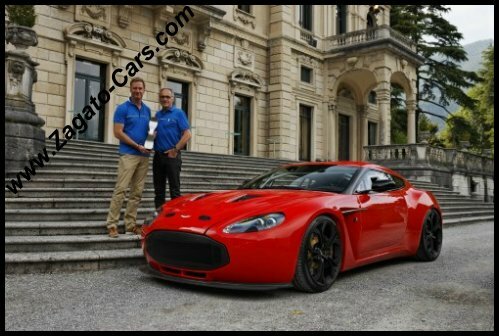 Aston Martin V12 Zagato wins Concorso D’Eleganza Design Award at Villa D’Este, Italy. Gaydon / Lake Como, 22 May 2011. 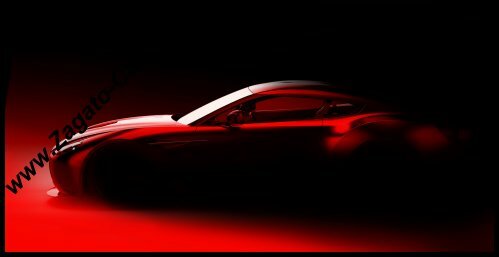 At its world premiere this weekend, the Aston Martin V12 Zagato has won the Concorso d’Eleganza Design Award for Concept Cars and Prototypes on the shores of Lake Como, Italy. we sign-off every new model in terms of dynamics, and there can be no better place for the new V12 Zagato to be finally tested. The 24 hour race is the ultimate road test and a fitting introduction for the V12 Zagato”. “Based on the reactions of our customers to this race car, we hope to offer a road-homologated V12 Zagato in a small, limited number as soon as possible. 2011 Aston Martin V12 Zagato Endurance Racer Wins Concorso d'Eleganza Design Award at Villa d'Este. Gaydon / Lake Como, 20 May 2011. Dr Ulrich Bez, CEO of Aston Martin said: “The Zagato design language is a perfect complement to our design and engineering expertise. After 50 years of the two companies being associated with each other the partnership has produced some of the world’s most iconic cars. 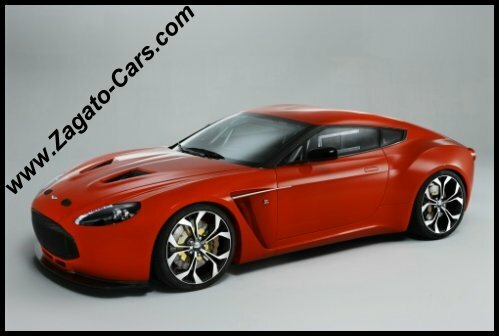 “Of course, fifty years ago Italian design houses were widely seen as leading the way with new designs but now and supported by our independency, Aston Martin has its own inhouse design ability so this new venture with Zagato is more collaborative than it perhaps would have been in the past. "The V12 Zagato is an elegant yet brutal design which reflects the great balance between race performance and pure Aston Martin style. The original DB4GT Zagato was a true icon, powerful and graceful; the new design is a true representation of the spirit of DB4GT Zagato. The muscular organic forms define the thoroughbred nature of the car’s racing credentials." Working alongside the initial design team was a dedicated group of Aston Martin engineers led by Chris Porritt - previously responsible for the engineering of the One-77. With the skills and knowledge gained from such specialised projects this team has worked to bring the unique design of the V12 Zagato to reality in a very short period of time. Featuring a new handcrafted aluminium body, the V12 Zagato delivers a beautiful and muscular design not possible using pre-formed panel techniques. Using the influences and skill of nearly 100 years of heritage in the craft, every aluminium panel was formed using an English wheel and traditionally crafted body bucks. Each front wing alone comprises seven separate pieces of aluminium, combined and then hand finished to give one flowing form. Another iconic Zagato design cue is the double bubble roof created in this case from five separate pieces illustrating further the intensity of craftsmanship involved in the construction of the V12 Zagato. Aston Martin announces an exciting new collaboration with renowned Italian design house Zagato in the 50th anniversary year of the iconic DB4GT Zagato. Villa D’Este Concours on 21st May 2011, with a racing debut at Nürburgring later in the month. which culminated in the production of the now iconic DB4GT Zagato 50 years ago. production car following in 2012.
talented team managed to draft the main designs of the DB4GT Zagato in just one week. raced extensively beginning with its debut at Goodwood in 1961. VEV’. These cars were raced successfully by great names such as Jim Clark and Roy Salvadori. campaigned in a racing debut at the Nürburgring on 28th May. in 4.8 seconds and a top speed of 186mph (300 kph). a pure two-seat roadster with no roof the DB AR1 answered this demand perfectly. Como Italy on Saturday 21st May 2011.